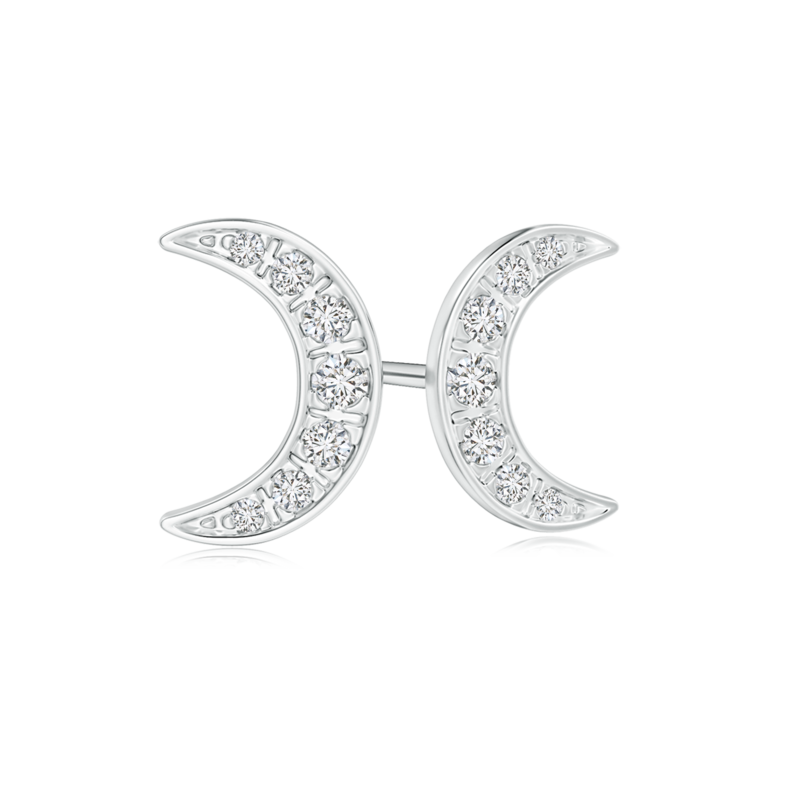 Depicting the undeniable beauty of a crescent moon, this pair of stud earrings instantly qualifies as a classy piece of jewelry. Its design showcases two flawlessly sculpted crescent moon shaped frames that are adorned with lab grown diamonds. These pave set, eco-friendly gems entice your gaze with their unmatched purity and brilliance. Crafted in 14k white gold, the contemporary design of this pair of stud earrings is worthy of all the admiration it receives.